4 How is Arthrogryposis Diagnosed? The exact cause of arthrogryposis is unknown though there are various theories surrounding the condition. In addition, there is said to be no link as to it being a genetic or hereditary condition though there is a rare autosomal recessive trait of the disease. Obstructions to uterine movement during pregnancy. This results to arthrogryposis as there is limitation for normal joint movement of the fetus. The development of the joints may be normal but due to the lack of movement, extra connective tissue tends to grow and develop around it. The tendons are also not fully stretched to their normal length because of the lack of movement. Obstructions during pregnancy may be caused by the inadequate shape of the uterus of the pregnant woman or if there is a lack amniotic fluid. Fetal hyperthermia may take place if the pregnant woman develops fever during the pregnancy. This could also be the result of a contracted viral infection like German measles or could also be caused by prolonged soaks on hot tubs. Failure of the nervous system and muscular system to develop. Impairment of the nervous system and muscular system to develop fully and appropriately could also lead to arthrogryposis. Usually, it is the spinal cord and the central nervous system which fails to develop fully. 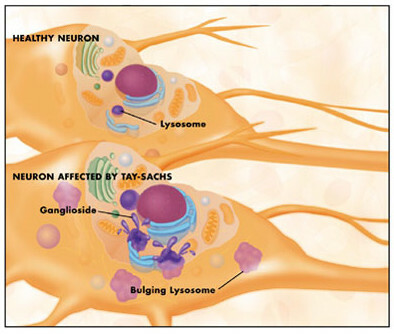 Nervous system impairment could include spinal muscular dystrophy, spina bifida and brain defects while neuromuscular ailments would include multiple sclerosis, myasthenia gravis and myotonic dystrophy. Excessive alcoholism, smoking and exposure to certain drugs like phenytoin (Dilantin) have also been linked to the development of arthrogryposis. Up to date, there is still no prenatal diagnostic tool that is available. Taking a look into the medical history and performing physical examination can help the doctor make a diagnosis. 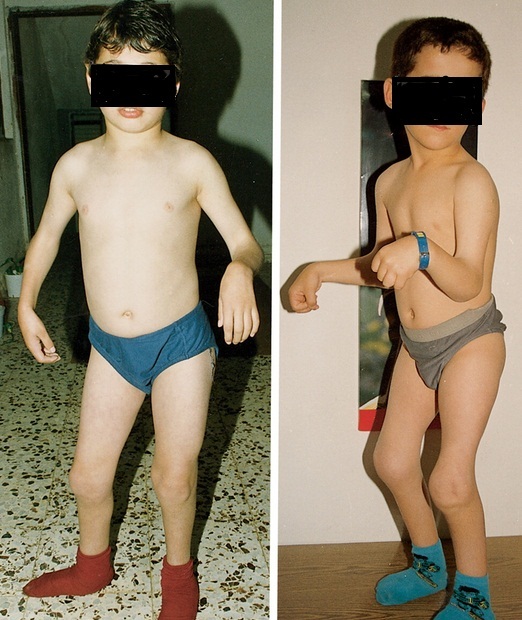 Radio-graphic examination is usually utilized to confirm diagnosis for Arthrogryposis. Blood tests, muscle findings and other imaging studies may also be utilized to confirm diagnosis and to rule out other medical conditions. There are different clinical manifestations for Arthrogryposis. Signs and symptoms would usually depend on the joints and muscles involved. Unfortunately, there is no cure for arthrogryposis but improvement to the quality of life is possible. Treatment requires a multidisciplinary approach depending on the problem. In addition, responses to treatment are also individualized with each patient responding or reacting to treatment differently. Surgery may be indicated for children depending on the problem. Orthopedic surgical operation can help improve mobility and correct joint problems by releasing muscle tensions and bony fusions as well as tendon transfers. Facial deformities may also be corrected.Children with cardiac anomalies like congenital heart defects would also require corrective heart operation. Physical therapy is also necessary to strengthen, stretch and provide mobility training to improve movements. Some doctors prefer physical therapy to be done prior to surgery as this would allow them physical assessment on the allowable range of motion the child is capable of. Parents are usually taught this therapy session as this would allow them to be performed even at home and several times a day. Physical therapy sessions eventually progress depending on the child’s developmental stage and should therefore be a continued process. Occupational therapy is also indicated to help in the improvements of activities of daily living and fine motor skills. These activities would include feeding, bathing and dressing. Fine motor skills are also the focus with occupational therapy. Psychological therapy may also be indicated in cases with depression and low self-esteem among children. In addition, there are different adaptive tools especially made for children with arthrogryposis that can help parents in managing their children. These include but are not limited to standers, pedi wraps, crutches, gait-trainers, walkers and mouth sticks. Water rehabilitation is another therapy gaining popularity as an exercise alternative for children with arthrogryposis. Water helps in relieving painful joints by decreasing pressure on weight bearing joints, muscles and bones. Moreover, water promotes relaxation at the same time provides resistance during motion exercises. Hippotherapy or horse-riding therapy is another alternative mode of therapy which is utilized because of the similarities associated with human movement of the pelvis to that of the horse’s gait when walking. This form of therapy has found to be beneficial in improving function, posture and mobility of the joints and muscles. The most common complications of the condition include pulmonary hypoplasia, scoliosis, delayed physical growth, abdominal hernias and mid facial hemangiomas. Children with Arthrogryposis can continue to have limited muscular and joint mobility because of the condition but since it is non-progressive, the condition would not worsen. Since there is no cognition and speech problems, children with this condition can continue to have substantial life improvements and have the potential to lead rewarding and independent lives unless complicated by other medical conditions. Arthrogryposis is a medical condition that is best treated and managed by doctors. It requires multidisciplinary effort to be able to achieve the best outcome for those affected with the condition but prognosis is usually good especially if problems are addressed at an early age. Please note : The life span for an person with this condition is usually normal, but when associated with Nervous system and Heart problems, it can be altered. This is very good information about arthrogryposis. My daughter has it and we are involved with an online support group. I would request that better pictures be used to illustrate the condition. There are many new images that would show the contractors. For example, the little boy could be wearing shorts instead of underwear and posed in a more flattering way. Parents are extremely alarmed with these kinds of pictures when they research arthrogryposis the first time when their baby is born. It is very scary to see these pictures. i just think a more positive approach would make a big difference to the arthrogryposis community. If you google arthrogryposis, you will find many pictures, which perhaps would be more sensitive. Thank you for letting me comment.